Truman Library Photograph: General MacArthur greets Gen. Jonathan Wainwright. 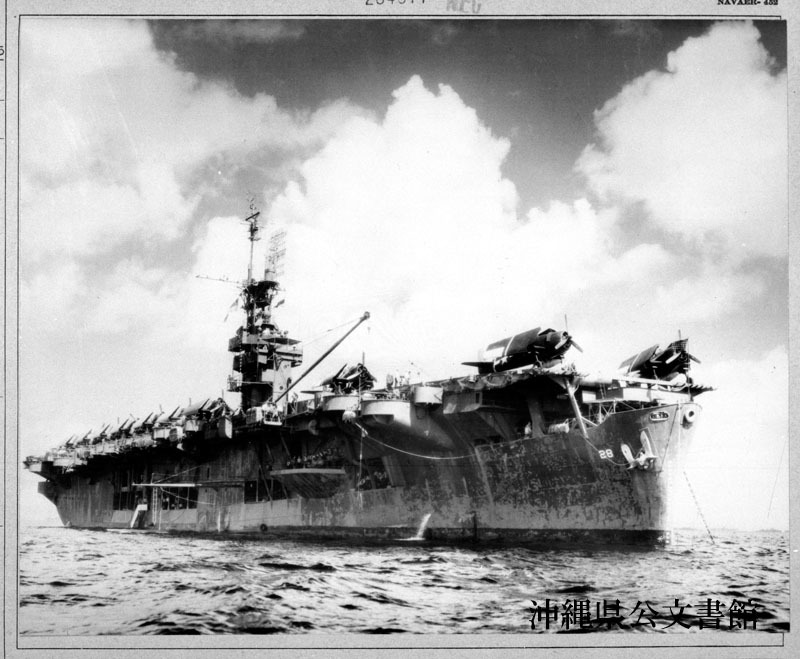 USS CHENANGO (CVE-28) at anchor in Buckner Bay, Okinawa. Lt. Comdr. Loring F. Hayward, USNR, executive officer of the USS KENNETH WHITING (AV-14), Capt. 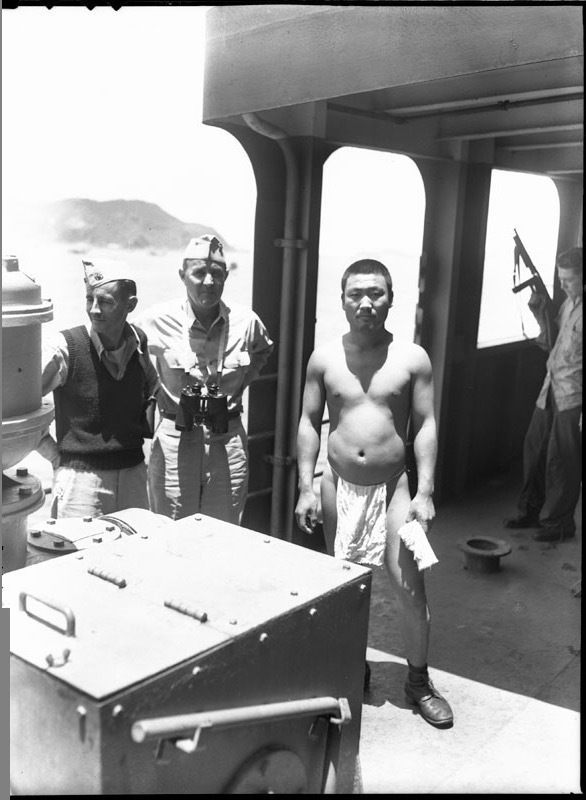 Raymond R. Lyons, USNCO, and the leader of the Korean surrender party after an unsuccessful interview hindered by language difficulties.